The defending champions of the IPL, Chennai Super Kings are the most successful T20 team in the world in terms of win percentage. They have won 61.56% of their matches across 9 seasons and have qualified for the playoffs every single time. 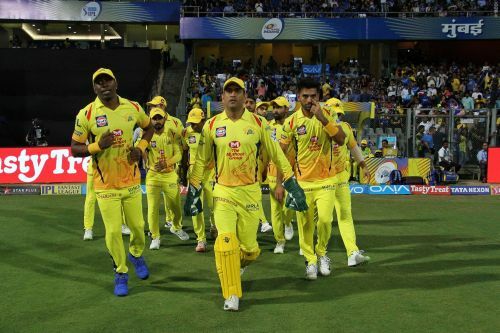 Out of the 9 playoff appearances, only 2 times they have crashed out before the final and 3 times they have lifted the trophy, the joint-most in IPL. Add to it, their 2 Champions League titles, which again is the joint-most, and there is no match in terms of consistency and success for the Men in Yellow. They also have a positive head-to-head record against every team except MI. CSK are the only team to reach the playoffs every single time they have played. Also, they are the only team to successfully defend their IPL title, when they won back-to-back titles in 2010 and 2011. As Harsha Bhogle said, there has to be something that CSK do right that they have been so consistent. Stats show that teams who change their teams less often tend to win more matches. CSK have the least player-changed-per-match ratio (1.28) among all IPL teams over the years, and the best average final finishing position (nearly 2), the best among all teams. Over the years it has also been seen that players tend to perform better when they play together for a longer period. CSK undoubtedly cracked this code before any other team. Right from the first season, they have been a team reluctant to chop and change the team too much. They change their XI only when absolutely necessary or if condition demands, but never as knee-jerk reactions to losses. With a stable XI, players tend to play freely and their natural game takes the center stage. Also continuity leads to selflessness in the game. No doubt teams maintaining continuity in the squad tend to get the best out of their players.